We have just the motors you need! We'll get back to you within 24-hours with detailed information for the motor you've selected. 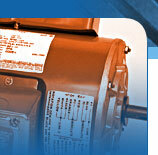 Or call to talk to one of our RS Electric Motors sales representatives at 800-279-2267. Thanks for letting us get you the information you need! keep your business running smoothly. Don’t see what you’re looking for on this site? Call us at 800-279-2267 and we’ll find what you’re looking for right away! We back our motors – new and rewinds – with a full year warranty! We ship using FedEx, UPS or RS Electric Motors delivery service. Delivery service prices are quoted per order requested.